THE CHARITIES REGULATOR has launched an investigation into the Solas-Galway Picture Palace Teoranta, a long-mooted cinema project in the centre of Galway city. The organisation behind the cinema is a registered charity, and the project to build the cinema has received funding from both the government and Galway City Council. The Department of Arts has contributed significantly to the project, with the eventual cost set to reach over €9 million. In recent times, Minister for Arts Heather Humphreys has acknowledged the “significant” investment into the uncompleted project. The cinema would, as Humphreys put it, “will be a state-of-the-art cinema located close to the historic Spanish Arch and just a stone’s throw from the Mick Lally Theatre (Druid)”. Now, the Charities Regulator has started an investigation into the affairs of the voluntary organisation – Solas-Galway Picture Palace Teoranta - which was set up over a decade ago to try to bring the new cinema to Galway. In a statement, the Charities Regulator said that it was bound by its internal policy to make an announcement about any investigation it undertakes, as it was “in the public interest”. It did stress, however, that “the opening of a statutory investigation is not in itself a finding of any wrongdoing”. The regulator added: “Issues have arisen in relation to the proper treatment of the charity’s assets in a commercial arrangement proposed with a new investor. 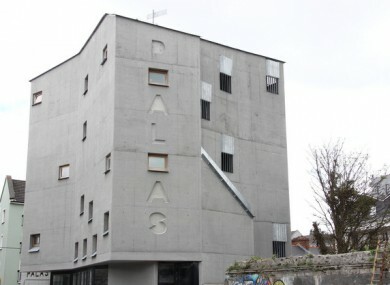 The Regulator met with some trustees of the charity in October 2016 and subsequently, on 17 November 2016, issued a direction to examine certain books, documents and other records of Solas-Galway Picture Palace Teoranta for the purpose of determining if inspector(s) should be appointed to investigate the affairs of the charity. With the project running over budget and over time, it was announced late last year that Element Pictures – which operates the Lighthouse Cinema in Dublin and is the production company behind films such as The Lobster and Room – would take over the completion and operation of the cinema. The idea for the Picture Palace was first mooted as far back as 2004, when the first contractor for the cinema faced receivership and liquidation. Galway City Council – which owns the site of the cinema – has already contributed at least €2.5 million to the project. As of last July, Humphreys’ department had already committed at least €2.7 million to the project, bringing the total public spend on the project to around the €6 million mark. Funding has also come from Element Pictures and the Irish Film Board. The project was originally projected to cost around €6.2 million, but it is now expected for the final cost to exceed €9 million. Speaking to TheJournal.ie, Galway City Councillor Pádraig Conneely described the project as “a disaster from the word go”. Fianna Fáil councillor Michael Crowe also told TheJournal.ie that the site was a “huge waste of taxpayer’s money” and that the council had received false assurances that the project would require no further financial support. Taxpayers have invested significantly in the Picture Palace since the project first started and it has not been without its challenges. The priority now must be to bring the project to completion for the benefit of Galway residents, visitors and film enthusiasts. At an Oireachtas Committee meeting in December, Humphreys said that the “promoters had good intentions and did their best but unexpected issues arose, including difficulties with the site”. She added that there were also “legal issues” with the project. At the same meeting, Sinn Féin’s Trevor Ó Clochartaigh said that there were “concerns as to how that funding allocation happened, why it ran over in the way it did and so on”. Also referencing Galway’s successful bid to be the European Capital of Culture in 2020, Ó Clochartaigh added: “We need greater transparency around that… We must ensure robust mechanisms of oversight, management and corporate governance are in place which will enable Galway to get the best possible return, not just culturally but economically”. As of today, the Picture Palace has still yet to open. According to Galway City Council, it is expected to open some time this year. Email “The Charities Regulator has started investigating a planned €9 million Galway cinema”. Feedback on “The Charities Regulator has started investigating a planned €9 million Galway cinema”.